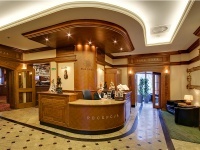 The Park Hotel is a four star boutique hotel in central Szczecin. Its unique, cosy interior lends style to the state-of-the-art multimedia rooms designed to suit your business needs. The hotel SPA can be a soothing retreat after a long, hectic day. The building has a nearly one-hundred-year history and in spite of many refurbishments it has retained its unique style and become a number-one choice for many famous guests. 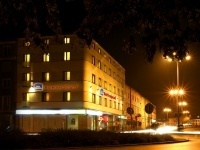 Located in a park, only minutes away from the historic area of Wały Chrobrego and a modern business centre. This place is one of a kind in the hubbub of the city. The Park Hotel offers a superb choice of double and single rooms and a suite. 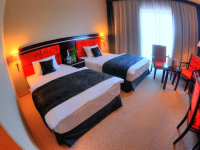 All rooms are air-conditioned and arranged in a stylish but comfortable manner. 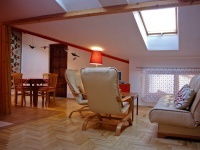 Each room has a large bed, mini-bar, safe, satellite TV, telephone and wireless broadband connection. 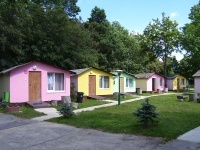 All rooms have opening windows, so that you can enjoy the unique atmosphere of the surrounding park. The Park Hotel restaurant serves cuisine from many regions in the world. You can choose from a selection of several dozen mouth-watering dishes and a wide range of wines. Chef Mariusz Siwak, taste expert and participant in the World Cookery Contest, is in charge of the menu. Our excellent award-winning cuisine has gained recognition from gourmets from many corners of the world. If you’d like some relaxation then visit our Pool & SPA. Enjoy a relaxing dip in the indoor pool with jet stream and hydro massage, unwind in the Jacuzzi, steam room with blissful aromatherapy or sauna, lay down on a heated bench or jump into the cold tub — there are many options to choose from. Delicious snacks and excellent items on our menu can add spice to any business meeting. After a tiresome conference, pamper yourself with a visit to the SPA.